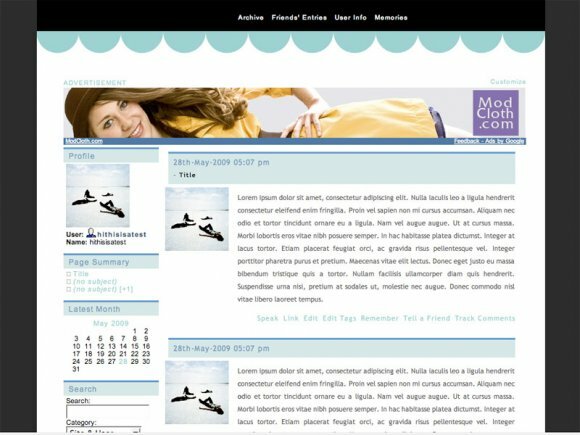 Wow, it's been so long since anyone submitted a LiveJournal layout. I like the colors and the semicircles on top. I used this. =] thanks. it's awesome! If I Had a LJ account,I Would Use This =)! Looks Good!Keep Up The Great Work :D!